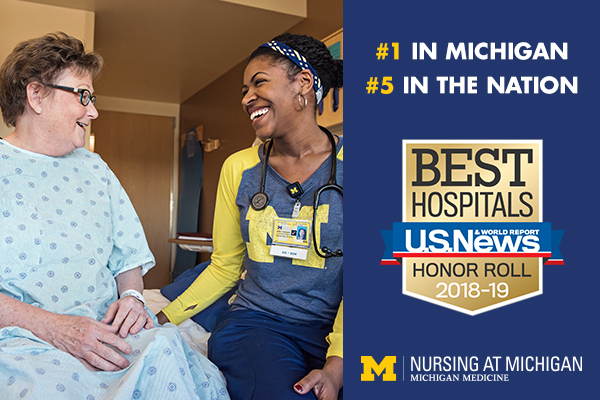 Michigan Medicine and the Department of Nurse Recruitment and Retention place the highest value on hiring and retaining the nation’s top nursing talent. 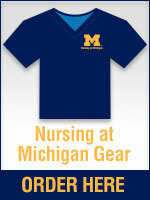 That’s The Michigan Difference. 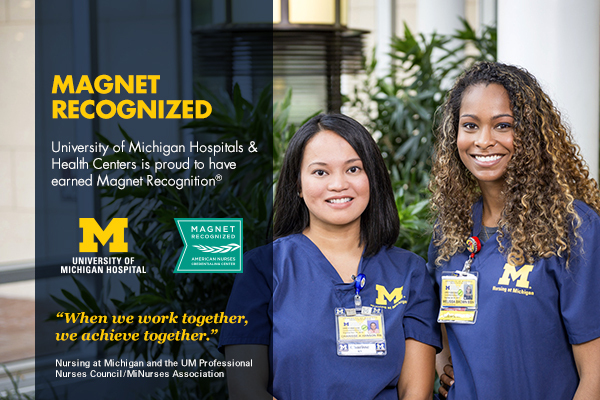 At Michigan Medicine, we are focused on our values; caring, teamwork, integrity, and innovation. 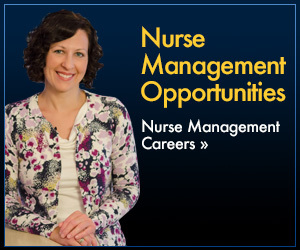 Together as a nursing community, we will continue to be innovative leaders in healthcare. 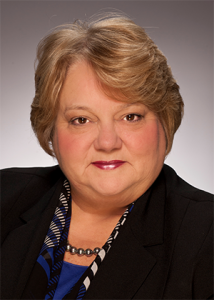 That is why we are pleased to welcome Nancy May, DNP, RN-BC, NEA-BC as our Interim Chief Nurse Executive. 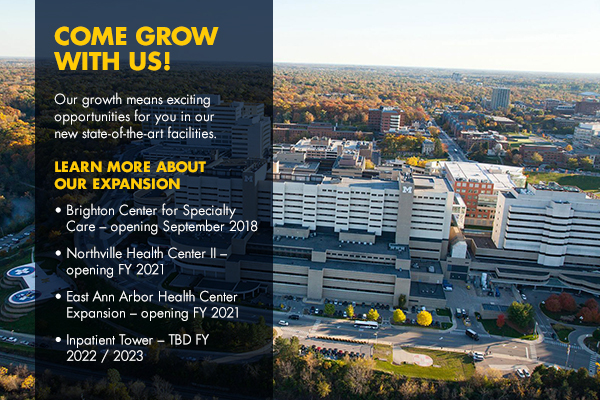 For the last three years, Nancy has been the Chief Nursing Officer for the U-M Medical Group and Ambulatory Care services. She participates on national committees, task forces and advisory boards with AONE, Institute of Health Improvement, American Nurses Association, and AAACN to promote quality and safety in healthcare. 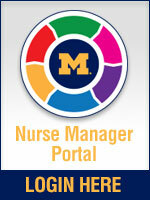 Nancy is passionate about advancing nursing practice at Michigan Medicine and across the country. We are excited to move forward with Nancy on our team. Things our employees say about working here.